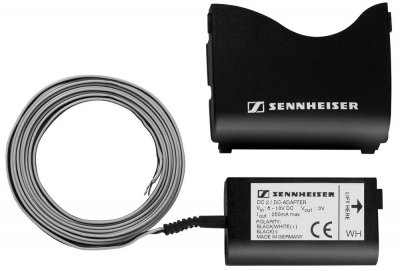 The Sennheiser DC-2 enables G2, G3 & 2000 series wireless bodypack transmitters & portable receivers to be powered from the DC power outputs on camcorders. The absence of a connector allows users to custom wire desired connectors to suit specific outputs. The DC-2 can also be used in conjunction with the Sennheiser NT2-3 power supply, allowing our Wireless Speaker Systems to be used with AC power instead of "AA" batteries.